Hot on the heels of finishing runner-up in the German F4 championship, Liam Lawson has tested a Formula 3 car for the first time, recording quick lap times from his first session in the car. The experience has left the Pukekohe teenager eager for more and he hopes another test will not be too far away. “It was an awesome experience and like nothing I’ve ever driven before. It’s opened my eyes to what high-downforce, open wheeler driving is all about and I cannot wait to hopefully get back behind the wheel of one of these awesome machines,” he said. 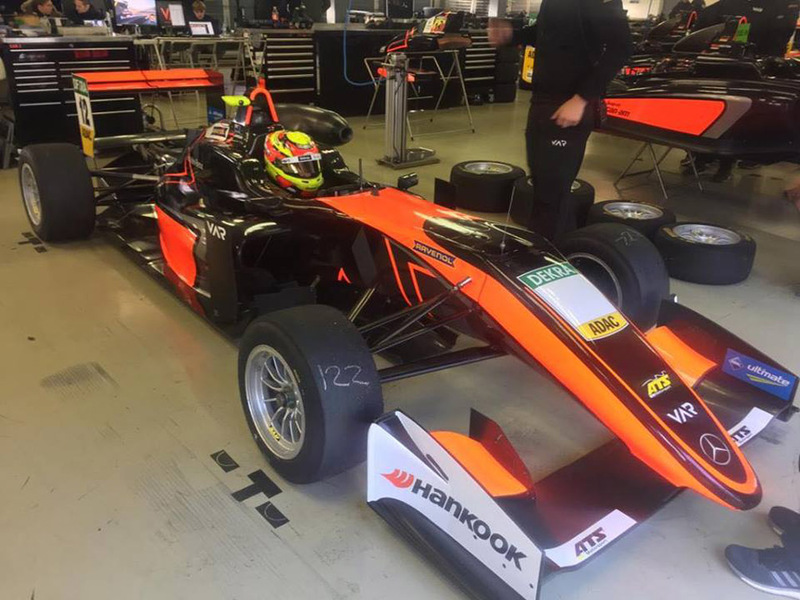 Lawson tested the Formula 3 car at Lausitzring in Germany with Van Amersfoort Racing (VAR), the team offering him the opportunity after his successful with them in Formula 4. On lookers were impressed at how quickly the 16-year-old was on the pace from his opening session in the car. Lawson completed two full days of testing with VAR driving in both dry and wet conditions and was constantly at the top of their time-sheets. “In the final sessions I was getting into a rhythm with minimal mistakes,” he added. VAR has a successful history in Formula 3 racing with fellow Kiwi driver Richie Stanaway totally dominating the German Formula 3 championship with them in 2011. Current F1 drivers Max Verstappen and Charles Leclerc also drove for them in the FIA European Formula 3 championship. After two years in Formula 4 racing Lawson is looking to make the move up to Formula 3, which next year will have a series for the current cars like Lawson tested, plus several new regional championships with new cars. Caption: Liam Lawson tested a current Formula 3 car recently for Van Amersfoort Racing.